Establishing Greek life on Middle Georgia State University's Cochran Campus takes another step forward during fall semester when three additional organizations explore expansion opportunities. 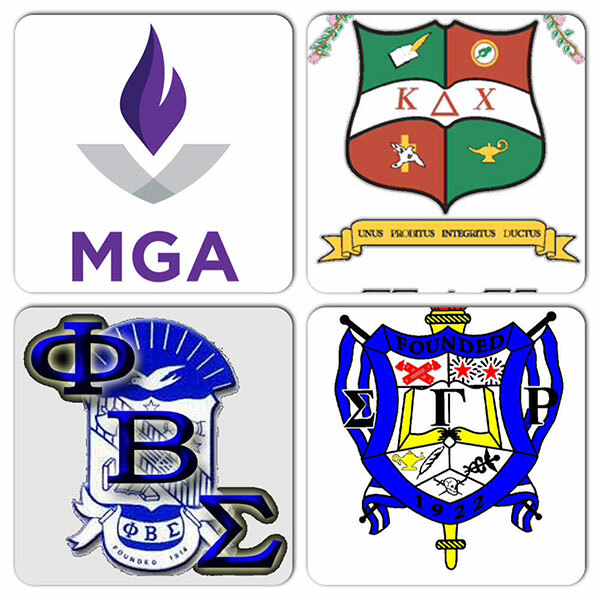 Representatives of two Greek organizations - Phi Beta Sigma fraternity and Sigma Gamma Rho sorority - will visit the Cochran Campus during club rush. The representatives will be available from 4 to 6 p.m. Tuesday, Aug. 25, outside Georgia Hall for students to visit and get information. Also this fall, on a date to be announced, Kappa Delta Chi sorority will send representatives to the Cochran Campus to explore an expansion opportunity. Scotty Rainwater, assistant director of Student Life at MGA, and others in his office have been researching and coordinating the implementation of Greek life at Middle Georgia State University. A Greek life implementation team is made up of various faculty, staff and students. “We are actively seeking sororities and fraternities to consider Middle Georgia State as we build up Greek life,” Rainwater said. He noted that while fraternities and sororities will be based on the Cochran Campus, where there is adequate student housing to accommodate the organizations, any university student interested will have a chance to participate. Kappa Sigma fraternity, headquartered in Charlottesville, Va., has already notified the university's Office of Student Life that it wants to establish a colony at Middle Georgia State. Kappa Sigma was founded at the University of Virginia in 1869. It is one of the largest international fraternities, currently with 316 active chapters and colonies in North America. • Sigma Gamma Rho sorority is a member of the National Pan-Hellenic Council (more commonly referred to as the Divine Nine or NPHC). The sorority was founded in 1922 at Butler University. • Phi Beta Sigma fraternity is also a member of the National Pan-Hellenic Council. The fraternity was founded in 1914 at Howard University. • Kappa Delta Chi sorority is a member of the National Association for Latino/a Fraternal Organizations (NALFO). Although they are a member of NALFO and founded as a sorority for Latina college women, Kappa Delta Chi welcomes all university women who are committed to the promotion of unity, honesty, integrity and leadership. For more information about Greek life development at Middle Georgia State, contact Rainwater at (478) 934-3152 or scotty.rainwater@mga.edu.